Based on your feedback, we keep on improving our telematics platform. 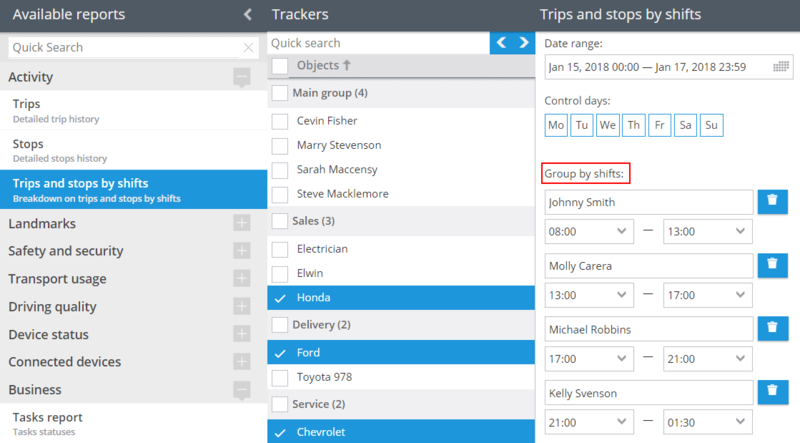 This time we are excited to present the long-awaited updates in the Reports section: users can now group data on trips and stops according to the established working shifts, browse summary info on all vehicles, and choose the time for receiving email reports. Let’s have a closer look at the new features and see how the interface looks today. Assess performance and count working time of each employee. Now the heads of departments can use the new “Trips and stops by shifts” report to monitor shift work. There is no need to use special equipment: cards and electronic keys to identify a driver. The user just enters employees’ names and their working hours. Schedules can be flexibly created. For example, a shift can start today in the evening and finish tomorrow morning. Therefore, the tool allows to adapt to individual business processes of one’s company. Run payroll correctly and take into account overtime work. 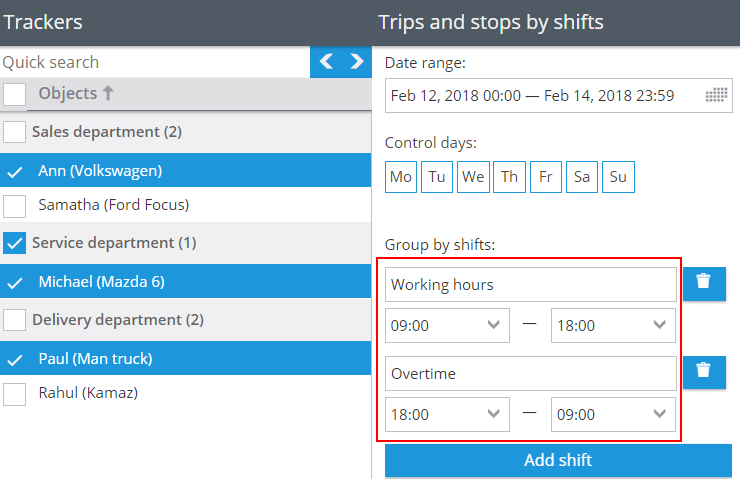 After setting the time for each shift, managers will be able not only to monitor the work process but also to accurately calculate wages and overtime work. For example, a company needs to check how many kilometers a driver has traveled during the working day and after hours. In order to do this, create “Working time” and “Overtime” shifts. The first one can start, for ex., from 9 am to 6 pm and the second from 6 pm to 9 am. That’s it. Fast and simple! Easily compare performance of your employees and vehicles. Reports now allow to view summary data on all vehicles at once. This means fleet owners can quickly assess the efficiency of their vehicles use. Simply click on the “Summary” tab to view the data. The summary table is a great help for companies with a large fleet. For example, in the “Fuel volume” report users can determine the entire fleet maintenance cost as well as detect excessive fuel consumptions and drains of each vehicle. View summary mileage for each state or region. We’ve already mentioned the possibility to create a report on trips by state in order to monitor vehicle movements and fuel consumption for each state or country. Now Trips by state report allows to easily get the total mileage and calculate fuel tax for each region. This feature is often used by fleet owners with more than hundred vehicles and drivers that travel between the states. Quickly find the needed report in an inbox. 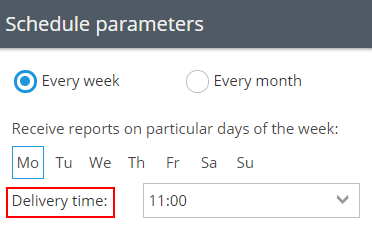 Users are now allowed to select the time they want to receive reports. As practice shows, an employee’s mailbox is often overloaded with emails. Thus, sometimes one has to spend a lot of time getting to the needed message. Time setting solves the problem. For example, the head of the department can choose to receive a report before a staff meeting in the morning. While an accountant who processes primary documentation will receive the report after lunch. That’s all for today. We hope you find these new updates useful and as always, we value your feedback! If you have any questions or comments, please contact us: [email protected]. Stay informed about the latest news and events by joining us on Facebook and Twitter. Till next time!